It's officially gift guide season! 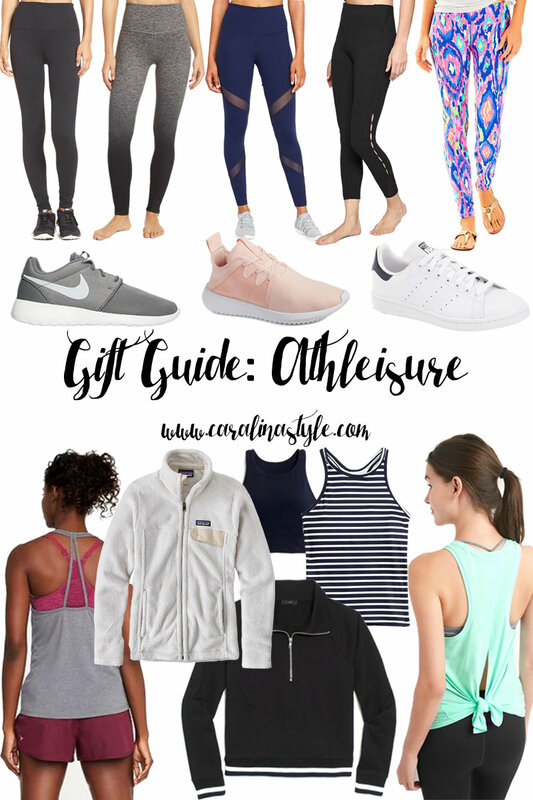 Since I got a little obsessed with barre classes over the last year, I thought I would share some athleisure items that I think would make some great gifts. 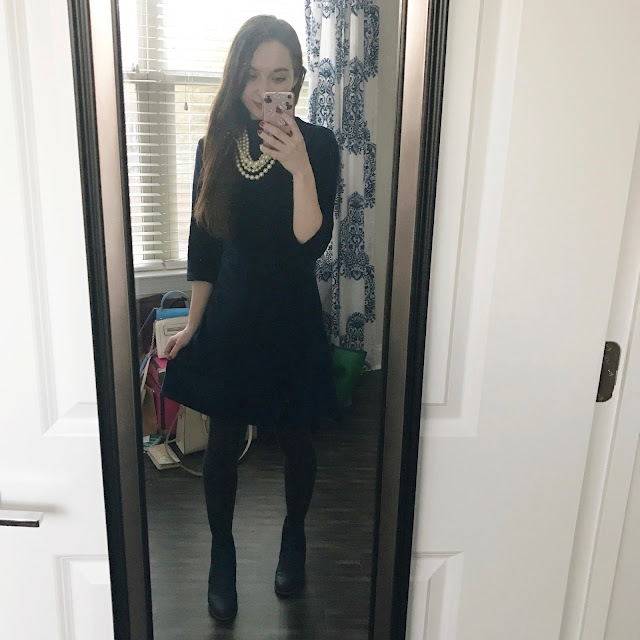 Whether you like to wear these items to a yoga class or the grocery store, these are some of my favorites. I have had this jacket in black since high school and it has large pockets perfect to fit your phone, cards, and keys. Also these printed leggings are easily the most comfortable piece of clothing I own! 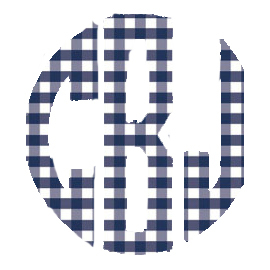 And in case you missed it, I posted a Gift Guide for the Monogram Addict last week! 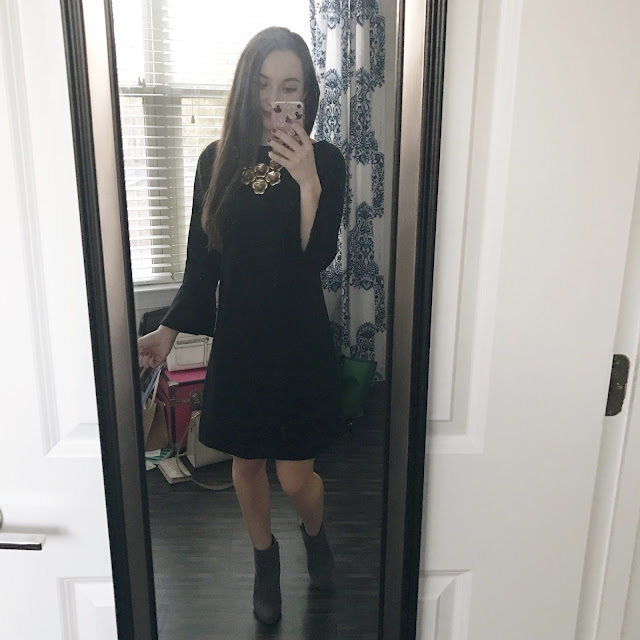 It's about time to share some of the outfits I wore in November! A few of these are just some different options of outfits that will also be seen in upcoming outfit posts. 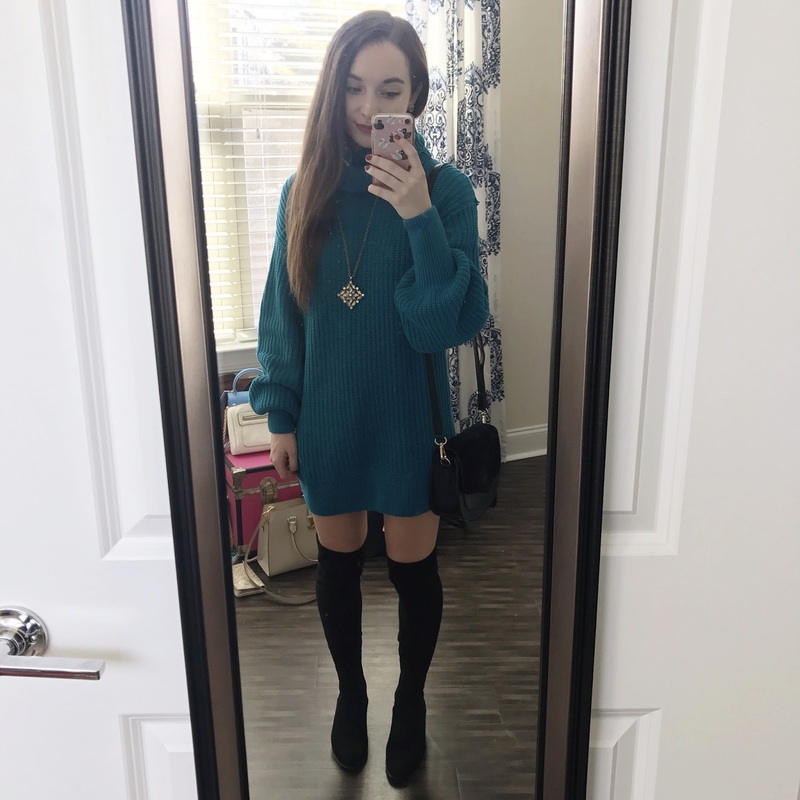 And in case you missed them, here are my everyday outfits from October and September. 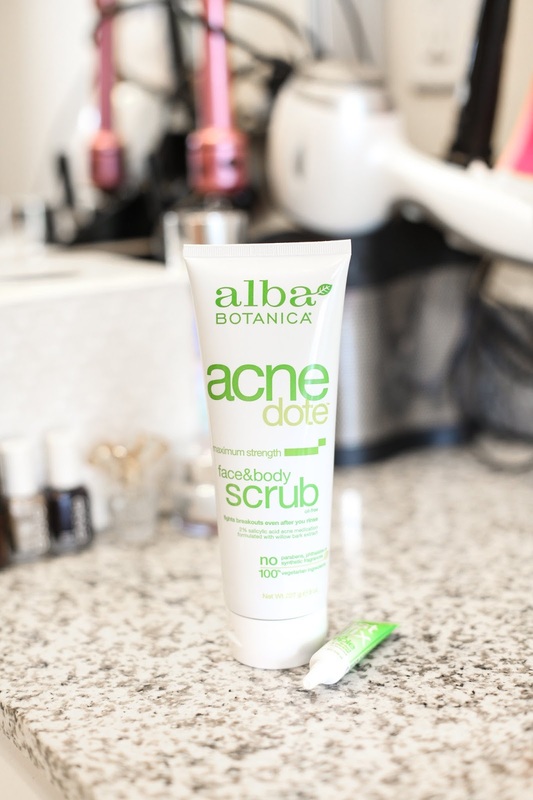 This is a sponsored post in partnership with Alba Botanica and Her Campus Media. All words and opinions are my own. I have mentioned on the blog a few times before that I have had some issues with acne since high school. And it is typically at its worst in the winter months. After a few years of having it under control, I had constant breakouts about this time last year. 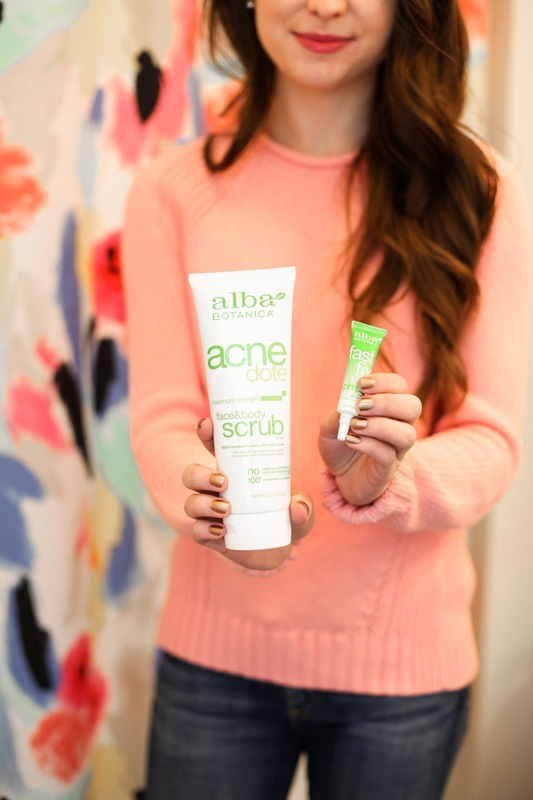 So this year, I have been keeping that from happening again with the help of these products from Alba Botanica®: Acnedote™ Face & Body Scrub and Fast Fix™ For a Pimple. Lately I have been using the the Acnedote™ Face & Body Scrub a few days a week after I wash off my makeup. I feel like it has the same exfoliating effect as a clay mask, but is a much quicker step in my skincare routine. It is oil free, which is something I always look for before I try any new skincare products. It is also free of: parabens, phthalates, plastic microbeads, sulfates, synthetic fragrances, and artificial colors. And it smells amazing! It has also been clinically tested, and 80% of the tested users saw clearer skin. 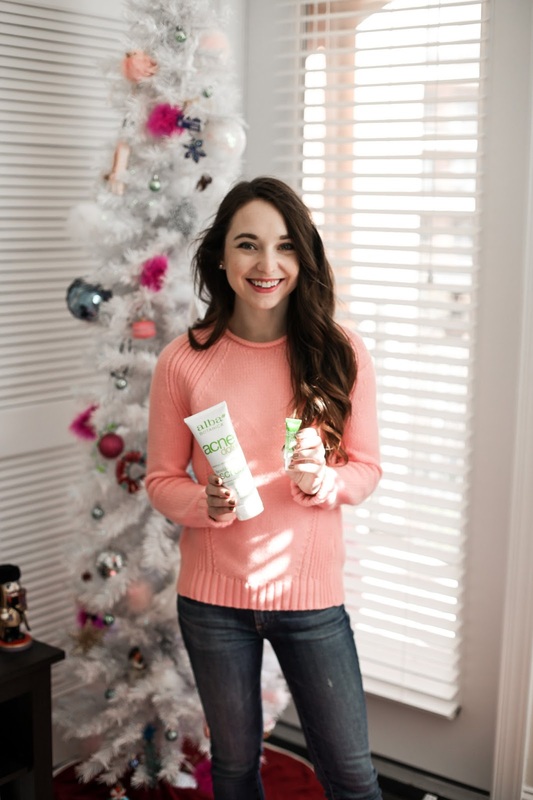 Another way I am keeping my skin in check during the winter months is the Fast Fix™ For a Pimple. I have been using it as a concealer over my foundation on problem spots. It is small enough to fit any bag to bring with you for touch-ups, and it contains 6% Salicylic Acid, which works while it covers. Like the scrub, it is also oil-free, and it has a light tint to it. As someone that typically wears the lightest foundation shade available, I think it is a tint that may be better suited for paler skin tones. Also like the scrub, it is made of 100% vegetarian ingredients. Not only do they make great products, Alba Botanica® also has a grant program for female led organizations. The Do Good Do Beautiful campaign is looking to award two female-led organizations with $15,000 to go after their goals to create, expand, or sustain a major project. The organization just has to be involved in fostering self-confidence in young women, doing good for the environment, or protecting animals. As someone that grew up in the ballet world, I think this would be a great opportunity for a female-led dance company. You can nominate a friend, mentor, family member, or even yourself for this grant. Just apply by November 30th, here! 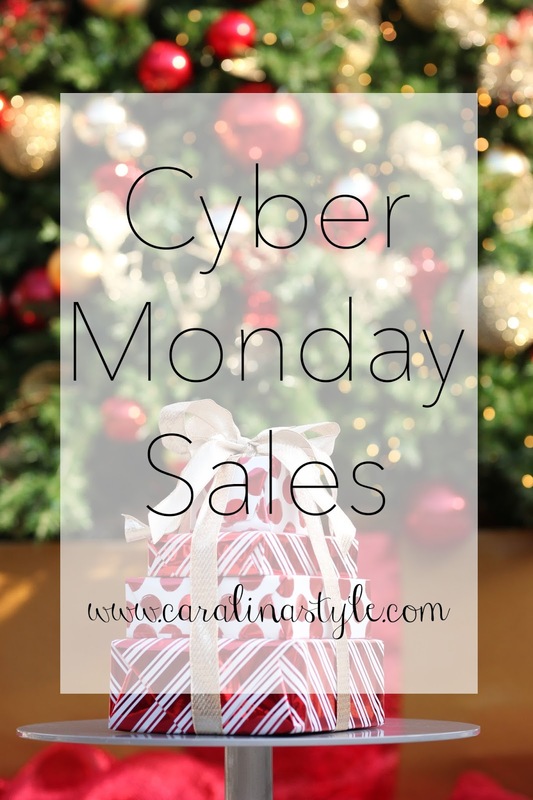 If you missed out on Black Friday weekend, or were holding out for today, here are some of the best Cyber Monday sales! I did quite a bit of shopping over the weekend, I actually bought all of my Christmas gifts! And I found a few deals for myself as well, which I have listed at the end of this post. Happy shopping! 50% off with code "THANKFUL17"
30% off with code "EPIC30"
35% off with code "CYBER35"
40% off and extra 10% off before noon with code "SHOPFAST"
30% off everything and extra 40% off sale items with code "GIVEJOY"
20% off with code "YELLOW20"
20% off with code "SHOPNOW"
25% off with code "GOODMOOD"
30% off markdowns with code "CYBERSALE"
30% off orders of $250+ with code "THANKS"